What is the “Remnant” multiplayer map? First introduced in “Halo 2” as “Relic,” the “Halo 2: Anniversary” multiplayer map “Remnant” is set on a large island on Installation 05 and is renowned for its expansive, asymmetrical level design, making it perfect for intense, sniper combat. Of course, this re-imagined version of the classic map sports its share of innovations. 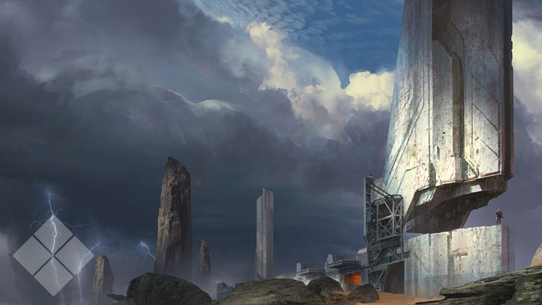 Who is eligible to receive the “Remnant” multiplayer map for Halo: The Master Chief Collection? The addition of the “Remnant” multiplayer map for Halo 2: Anniversary is available as a free update to all online players of Halo: The Master Chief Collection. How do I receive the “Remnant” multiplayer map for Halo: The Master Chief Collection? The “Remnant” multiplayer map is added to Halo: The Master Chief Collection via a free content update and is playable via the competitive multiplayer modes of Halo 2: Anniversary starting on May 30. In what games within Halo: The Master Chief Collection can I play the “Remnant” multiplayer map? “Remnant” has been completely reimagined at 1080p/60FPS resolution and is playable within the competitive multiplayer modes of Halo 2: Anniversary. If I purchased a physical copy of Halo: The Master Chief Collection, do I still need to have it in my possession in order to play the “Remnant” multiplayer map? Yes, players will need to have a copy of Halo: The Master Chief Collection in order to access and play the “Remnant” multiplayer map as part of Halo 2: Anniversary. Is Xbox Live Gold required to play the “Remnant” multiplayer map in Halo: The Master Chief Collection? Yes, Xbox Live Gold is required to play the “Remnant” multiplayer map. 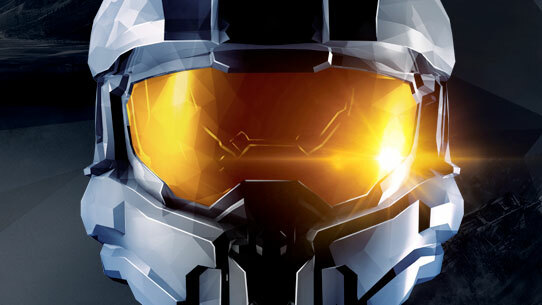 Who is eligible to receive the Campaign for Halo 3: ODST for Halo: The Master Chief Collection for free? Online users that logged in with their Xbox Live account and played Halo: The Master Chief Collection on any day from November 11, 2014 through December 19, 2014 at 11:59 pm PDT are eligible for a free code granting access to the Campaign for Halo 3: ODST on Xbox One. Offer is non-transferable. How do I receive the Campaign for Halo 3: ODST for Halo: The Master Chief Collection? Users who qualify to receive Halo 3: ODST Campaign for free will receive an in-console message with their code for redemption starting on May 30. Halo 3: ODST Campaign is also available for purchase from the Xbox Store for those not eligible for the free offer. How long do I have to redeem my free code for Halo 3: ODST Campaign? The original in-console message sent on June 1 has been purged from console inboxes. Codes are being resent on July 1 to those who have not yet redeemed their code. All distributed codes will be purged from the in-console message on July 31, 2015, but will still be redeemable. After July 31, users can contact the support forums support forum (http://xbx.lv/1Gwt1M0) for further assistance. How do I access the Campaign for Halo 3: ODST in Halo: The Master Chief Collection? The Halo 3: ODST Campaign is accessible via the Halo 3 portion of the “Campaigns” section of the main menu of Halo: The Master Chief Collection. I downloaded Halo 3: ODST but it is not showing up in the game menu. What is wrong? Make sure you have downloaded the latest content updates for Halo: The Master Chief Collection. The update to be released on May 30 alongside the Remnant multiplayer map is required to play the Halo 3: ODST Campaign. Does the Campaign of Halo 3: ODST for Halo: The Master Chief Collection include the full game (including Firefight)? Our focus is enhancing the Campaign for Halo 3: ODST, including it within Halo: The Master Chief Collection, and ensuring it delivers a great experience on Xbox One in 1080p and 60fps. It does not include the Firefight game mode and contains the Campaign only. I am not eligible to receive the Campaign for Halo 3: ODST for free, is it available for purchase in the Xbox Store? How much does it cost? The Halo 3: ODST Campaign addition to Halo: The Master Chief Collection will soon be available for purchase from the Xbox Store for $4.99 USD for those that do not qualify for the free offer. If I purchased a physical copy of Halo: The Master Chief Collection, do I still need to have it in my possession in order to receive access to the Campaign for Halo 3: ODST? Yes, players will need to have a copy (physical disc or digital license) of Halo: The Master Chief Collection in order to access the Campaign for Halo 3: ODST. This week in Canon Fodder, we take a look at the ancient lore behind the upcoming map, Remnant.